The Polycom VVX Business Media Series features premium IP phones for every business scenario, from single-port VoIP phones for common spaces to executive video phones with built-in video conferencing capabilities. 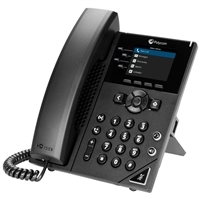 VVX phones give you clear, natural audio using Polycom's industry-leading HD Voice technology. They are intuitive to use, employing a simple, consistent user interface (UI) that empowers you. Every phone incorporates a broad range of functions based on how you would use it, from customizable speed dial keys for simplifying workflows to HD video transmission for collaborating with remote people, and much more. 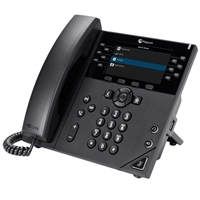 Polycom VVX phones are open SIP phones, designed to provide premium quality voice and features for a broad range of IP phone systems. 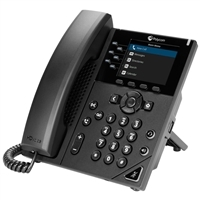 Most VVX phones also come certified for integration with Microsoft Lync and Skype for Business, so you can seamlessly add exceptional deskphones to your unified communications system. All VVX phones are Power over Ethernet (PoE) compliant. Don't know which VVX phone fits your needs? Check out our handy Polycom IP Phone comparison chart.